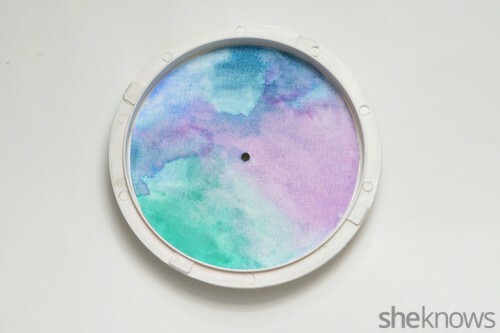 Watercolor décor is the hottest trend right now, so rock it making this watercolor clock from sheknows.com. 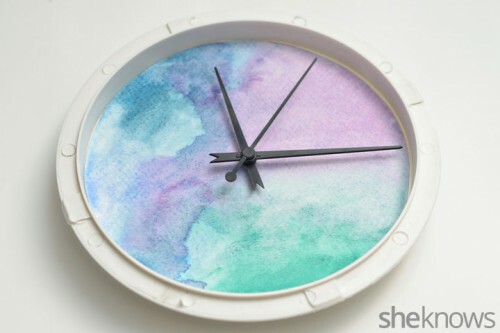 The supplies are a clock, watercolor paper, watercolor paint, a paint palette, a paintbrush, scissors, a pen and spray adhesive. 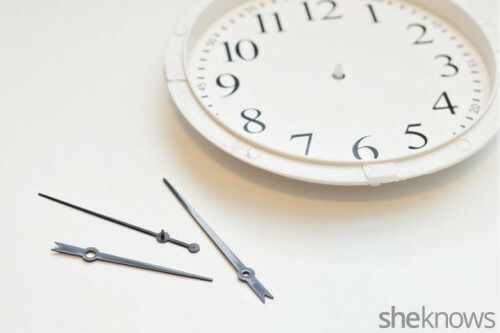 Carefully disassemble the clock, removing any glass and the hands from the clock. 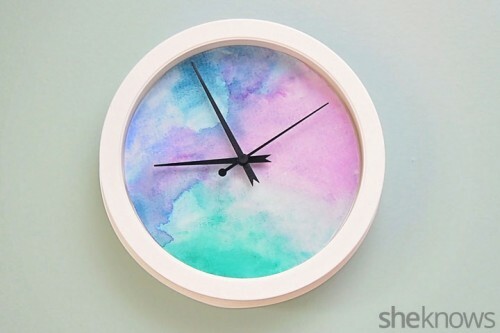 Trace around the face of the clock on the watercolor paper, then cut out the circle. 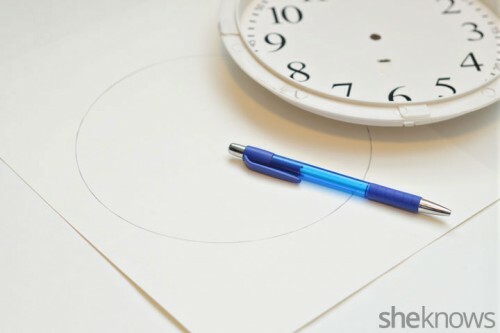 Make sure you also cut out a small circle in the center of the paper. Mix up your watercolor paints. 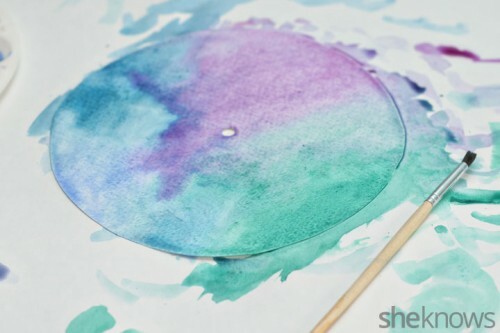 Paint over the entire circle with plain water to get it wet, then start painting on the paper with the watercolor paint. Keep reading the tutorial in the source.